Flip a coin. If heads, the Defending Pokémon will not know what is 1+1. Flip 100 coins. 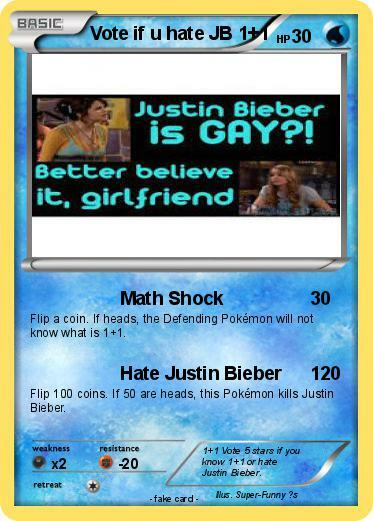 If 50 are heads, this Pokémon kills Justin Bieber. Comments : 1+1 Vote 5 stars if you know 1+1 or hate Justin Bieber.